A Prince George's County high school has lowered its intentional absences, or truancy rates, through personal attention. Theresa Fox was appointed principal at Crossland High School last year, where she had her work cut out for her -- the school reported 179 truant students in the 2012-2013 school year. District-wide, Prince George's County had 3,374 truant students during that time. "We definitely had to address [truancy]," Fox said. "I told my staff, find out what the story is. Once you find out [the students' stories], you can help them." Kanyetti Harrison, a junior at Crossland, was one of those students. "Basically, I stopped coming [to school]. I was thinking in the present, I wasn't thinking about my future," Harrison said. The task of reeling in Harrison fell on Katrina Anderson, his teacher. They sat down, built a plan and shared a bond. "I found out some personal issues about him, just reasons he had given up," Anderson said. "He trusted me." And because he trusted her, Harrison began coming to school more often. Not only did school officials make an effort to get to know each and every student potentially slipping through the cracks, but they also set up credit recovery programs to get them back on track to graduate. "When I talk to them, I know they care about me," Harrison said. "Main thing I'm focused on is graduating." 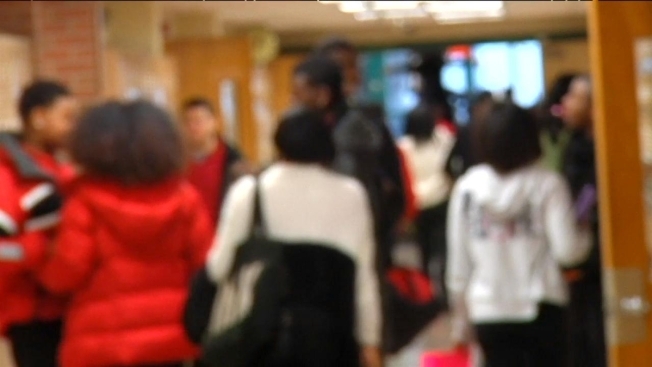 Crossland's truancy rate dropped to 125 last school year from 179. This school year, numbers are on track to be in the 80s. District-wide, numbers dropped to 2,950 last school year from 3,374.